Sunday Worship Circle: The group meditated on how things in life sometimes go wrong, but no matter how wrong they go, something within the event is right. In every dark cloud, there is a silver lining. Using salt dough, everyone made a physical manifestation of one a frustration. Then, they smooshed the manifestation and created a new physical manifestation of something that is going right, their own totem silver lining. 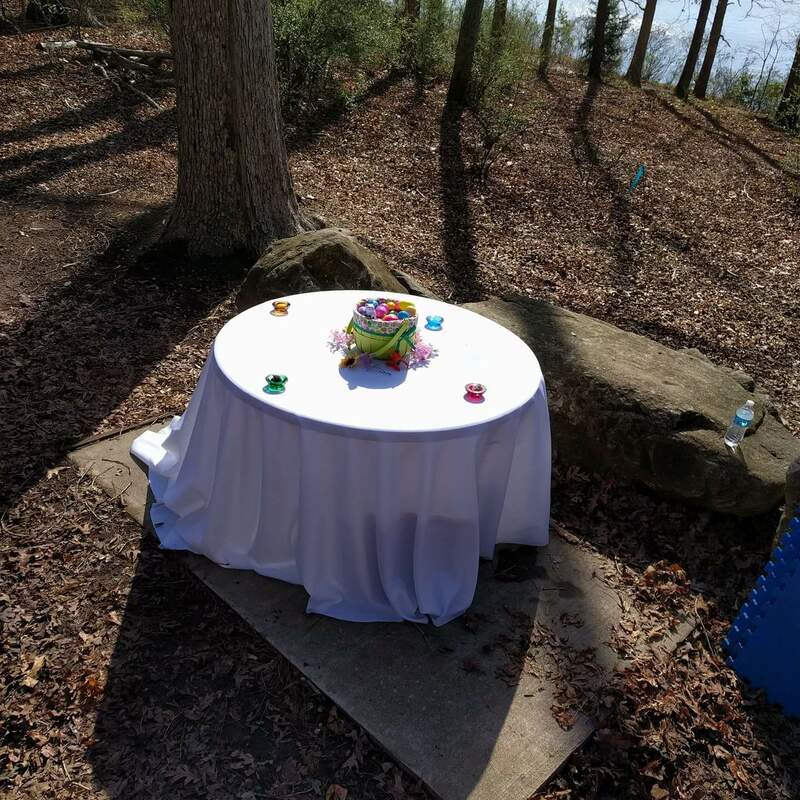 Included in the ritual was a meditation of Lake Johnson, and the silver lining felt of being in a natural wooded area with a great lake- but that was only come by because of our vacating Gaia’s Gardens. Folks met and had fellowship in the St. Patrick’s room at Tra’Li Pub in Morrisville. The irony of the snakes gathering in Patty’s room was fully noted. Education class: Making Home a Haven at Cameron Village Library. 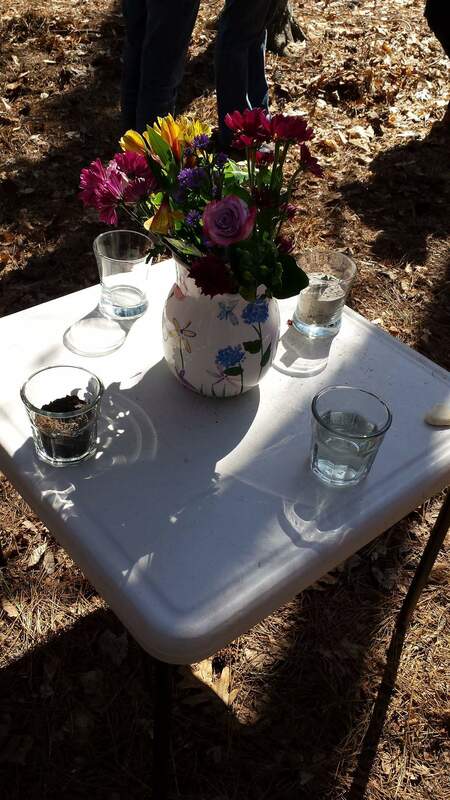 Attendees learned about hygge, a simple way to ward one’s dwelling, and discussed how to embed Magick into everyday household tasks including vacuuming, cleaning toilets, and doing dishes. Attendees also made charms to display in their homes. 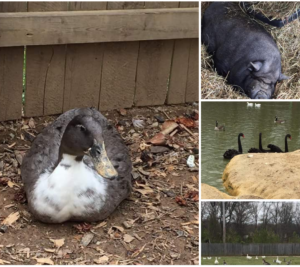 A group of volunteers went to the Carolina Waterfowl Rescue and helped clean up the riverbed to make it a havenly home for the waterfowl who dwell there. Attendees discussed the origins of the Easter Bunny: after raising late, Ostara found a bird frozen to the ground. She saved him, but in the process took away his ability to fly so she turned him into a snow hare, kept his egg-laying ability, and took him as her consort. After a lover’s quarrel she threw him to the sky where continues to be today, Lepus, under Orion’s feet. Attendees took home colorful eggs filled with seeds to welcome Spring. A drum circle was held at Lake Wheeler to raise energetic vibrations. 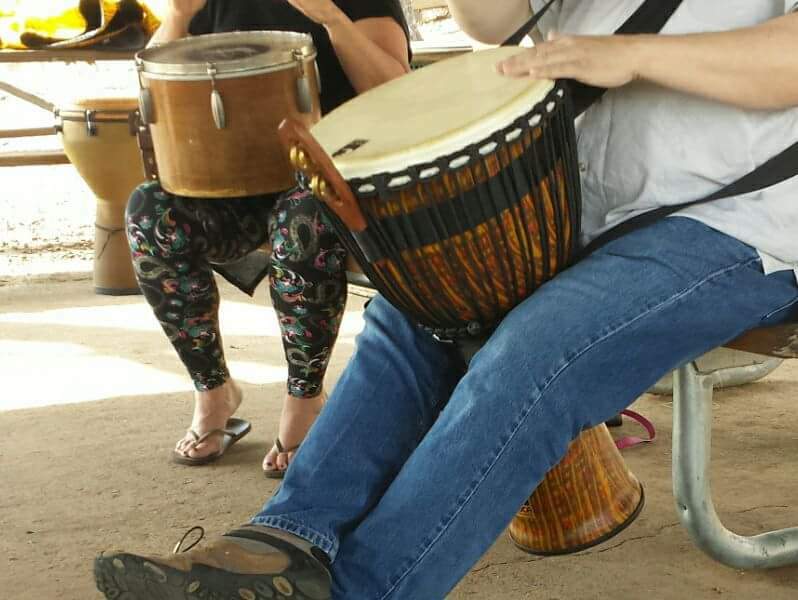 Rhythms and chants from multiple world cultures were shared. Inaugural book club meeting! Church of the Earth now holds a monthly book club, with meetings on the last Tuesday of the month. The first meeting had a group discussing titles and choosing the first: Neil Gaiman’s Norse Mythology. Half of April has already past, and all events will be including in the April review. Below are events for the remainder of the month. As always, check out the meetup group to get up-to-date notifications for all events.